Home » Blog » Blog » What about Botox® and Thinning Hair? What Impact Does Botox® Have On Hair? If you thought that Botox® injections could be used for nothing more than fine lines and wrinkles, then think again. Ever since Botox® has been used as a ‘quick fix’ for cosmetic purposes, its applications have expanded rapidly and now involve migraine treatments and even the management of itching in patients with burns. Now, Botox® for thinning hair? To add to these, Botox injections now apparently help manage baldness. While evidence of this is still rather thin, it is worthwhile taking a look as to how Botox® injections help patients with baldness due to a variety of causes. Hair loss is a natural process of aging. As one gets older, the hair becomes thinner and the roots lose their strength. This occurs because the protein content (keratin) within the hair fibers is reduced significantly. The thickness and concentration of keratin in the hair follicle is dependent on the delivery of nutrients (which includes vitamins and minerals) to the hair follicle through blood. Any lack of these nutrients makes the hair follicle brittle and thin. Hair loss is not just due to aging but can occur in a condition called alopecia areata, a genetic condition. Male pattern baldness is sometimes called androgenetic alopecia. It usually takes 15-25 years to go bald. However, some men go bald in fewer than five years. 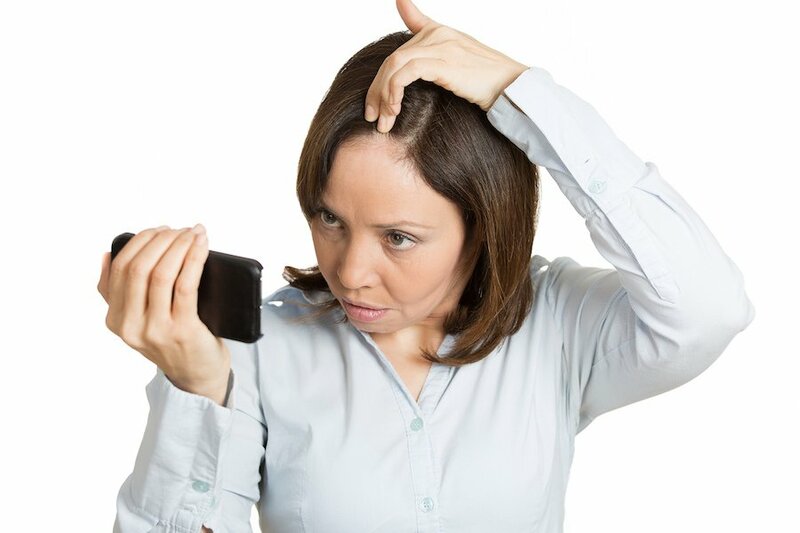 There are a number of different ways that scalp health can be looked after to ensure hair does not become thin or to slow down the actual process of hair thinning and baldness. How does Botox® help thinning hair? Botox® injections into the scalp are believed to relax the muscles, enhance blood flow and increase the delivery of nutrients to the hair. However, it appears that it is only effective if the hair follicle is not completely destroyed and still has some evidence of ‘life’ in it. The question arises as to whether or not Botox® is actually essential to manage thinning hair. These days, there are treatments available that contain the medical compound Minoxidil which is known to stimulate hair growth. In addition to that, there is evidence to suggest that vitamin supplements and having a nutritious diet along with avoiding the excessive use of hair care products can in fact maintain health of the hair. Is there another ‘Botox® for hair’? There is some claim regarding the benefits of a fish protein called AminoMar C in maintaining hair health and preventing thinning of the hair. This protein has been called the ‘Botox for hair’. While this is just a label that has been offered to this form of treatment, it is in no way related to Botox® injections. Well, there is no strong evidence supporting this. Any results that have been demonstrated are only anecdotal and not backed by scientific proof as such. The alternative ‘Botox for hair’ fish protein seems to have become popular in the recent past with a number of newspapers reporting the benefits of it as well. Botox® for hair loss and thinning hair does not appear to be an effective treatment as such. The health of the hair is dependent on one’s diet, adequate consumption of proteins, vitamins and minerals and general maintenance of hair moisture using a limited amount of products.